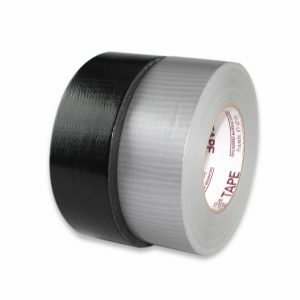 High-quality general purpose Polyethylene-coated Colored Duct Tape – Industrial Grade. ?Length: 60 Yard Long. 10.2 mil. 38 mesh. 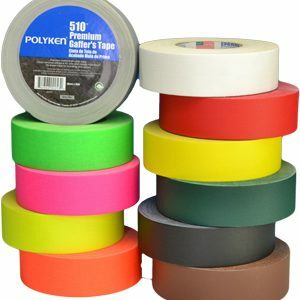 Tape will conform well to irregular surfaces, and will not twist or curl during application. Excellent water and abrasion resistance. The tape is hand-tearable (tears evenly across web). 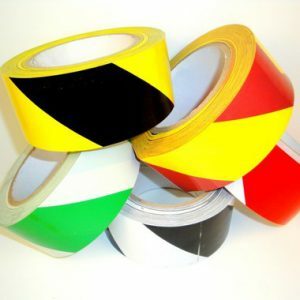 Used as a quality waterproof packaging tape for export shipments; for splicing, vinyl repair, protecting, and bundling; for ductwork sealing and seaming, and for color coding. 18 COLORS AVAILABLE: Silver (Gray), Back, White, Yellow, School Bus Yellow (Ochre), Sky Blue, Teal Blue, Dark Blue, Pink, Red, Burgundy, Purple, Racing Orange, Tan, Dark Brown, Light Green, Dark Green, Olive Drab. Other roll widths available upon request. Temperature range: -31?F to 176?F. 3?